In case you hadn't noticed, it's party conference season again. It's the seasonal event before the Autumn political session starts once more. 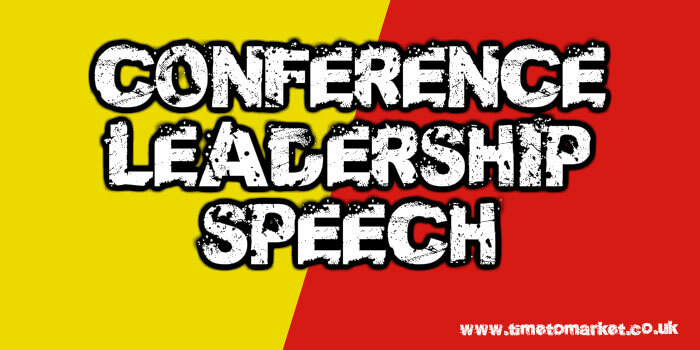 This year we have already been treated to two examples of the conference leadership speech. One from the new LibDems leader, Vince Cable and the other from Jeremy Corbyn. Clearly we haven't reviewed a conference leadership speech from Vince Cable in the past. There again, we haven't actually reviewed any of his past speeches. That's our omission. But it's probably because of the sheer output of one of his predecessors. Because a Nick Clegg conference speech was typically good. So how good was Vince Cable's conference leadership speech? Well, he had a nervous start. Thankyou, it’s, um, with a very real sense of pride that I stand before you. But, after that he got into his stride. Yes, his clenched hands on the lectern suggested some nerves. But that didn't matter. Because he worked this conference speech well. He kept to a measured pace and he read his autocue without an issue. The odd stumble is no matter. 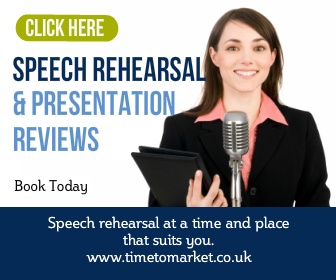 Aim for some autocue practice before your next conference speech so you practise the flow of your speech. You can find unforeseen results when you skip autocue practice. Certainly some of his humour didn't work, but other humorous sections did. That was effective. These are people who live in a world of infantile fairy tales.…I’m sure you know the one about the Giant Tweeter…who lives in a White House far away and who flies across the ocean to rescue us from the wicked Gnomes of Europe. That one didn't work. But, he also managed to introduce some good rhetorical elements. We heard a few position takers and contrasting statements. They worked. All in all, we suspect that the Liberal Democrats enjoyed this conference leadership speech. Needless to say they have been through the mill of late! So, it was thorough, well-given and free of problems. This week the Labour Party has had its conference in Brighton. It's proved a well-managed event. That's quite a contrast to the secure communications problems of last year. For Jeremy Corbyn the last few years have proved to be a tough induction to party leadership. Certainly this year's conference leadership speech was very different to the first Jeremy Corbyn conference speech. But we expected that contrast. His predecessors went through the same ordeal. An Ed Miliband Labour leader conference speech was forever in the media spotlight. Often for all the wrong reasons. So this speech certainly started with quite a difference. Echoes of a cult movement, perhaps? Still, it does appear to work. His delivery is calm and steady as he uses his autocue with some confidence. Yes, we heard the odd stumble, but these were barely noticeable. His introduction referenced the past in classic form. Such an introduction always works well. You should aim to reference people or groups in your audience. Jeremy Corbyn achieved this throughout the length of his speech, memorably with recognition for Diane Abbott. Over 100 years ago a teenage shopworker joined the shopworkers’ union, after reading about it in a newspaper used for wrapping. We also heard the odd phrase reversal. Again these are classic rhetorical devices and work well in a conference leadership speech. Labour is ready. The Tories are not. We also heard some good humour. Because there can be no doubt at all that Jeremy Corbyn uses humour well in his speeches. They are definitely not strong, and they are certainly not stable. But the Tories have one thing Labour lacks, he says. They have tracked down the magic money tree. It has been put to use, though not necessarily good use. It is being used to keep Theresa May in power. They gave it a good shake. She is spending £100m per DUP MP. Humour can be a very powerful weapon with which to ridicule your opposition. And Jeremy Corbyn has learnt that point well. Because in many ways that's similar to how Gordon Brown learned how to use humour in his final Manchester conference speech. Our favourite moment? It had to be when Jeremy borrowed from Martin Luther King. Now is the time that government took a more active role in restructuring our economy. Now is the time that corporate boardrooms were held accountable for their actions, And now is the time that we developed a new model of economic management to replace the failed dogmas of neo-liberalism. This was a very wide-ranging speech that proved perfect for the occasion. It certainly captured the mood of a very stage-managed and coherent party conference. Yes, it was a long speech. Lengthy speeches can be dull, but there are exceptions. This was one of those. You can always prepare for your next conference speech with our regular series of public speaking tips. Also, you can ask us to organise a one-to-one public speaking coaching session. 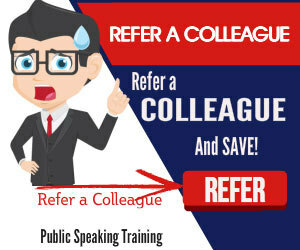 Just for you, this one day training session gives you the skills and confidence for your next big conference speech. Please don't hesitate to get in touch before your next event.